"...sets the standard on weight-adjusted ratings here, and everything looks set fair for another big run with further improvement on the cards..."
SAINT LEO very much caught the eye with how he travelled when falling four out on his penultimate outing over C&D. 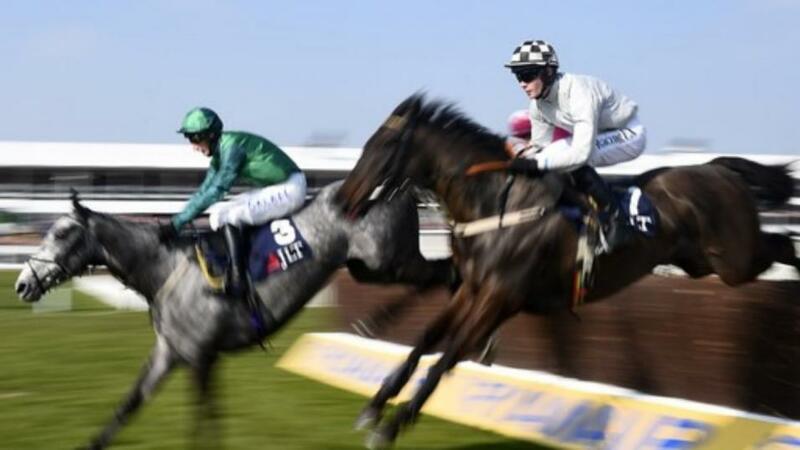 A decent run over hurdles since shows he's none the worse for that tumble, and with the prospect of more to come after only three UK starts in this discipline, he could be worth chancing for the Sandy Thomson yard that often targets this meeting. The gamble on Azzuri for this race during the week suggests that the Dan Skelton team is hopeful a wind op will see him recapture his best form, while the consistent Forest Bihan is also respected. BALLYWOOD made it three wins from four chase starts when reverting to handicaps at Ludlow last month, conceding lumps to a rival that had fallen a long way in the weights and again doing it in really likeable fashion, his jumping standing up well to a strong pace and finding plenty when asked, too. That form sets the standard on weight-adjusted ratings here, and everything looks set fair for another big run with further improvement on the cards. Secret Investor and Castafiore complete the shortlist. CARTWRIGHT fared better than the bare result when sixth in the Martin Pipe Conditional Jockeys' Handicap Hurdle at Cheltenham last time, racing in rear after a slow start, and possibly doing too much too soon as he swept to the front after two out, understandable that he wasn't able to sustain his effort from there. He certainly showed enough to suggest that he is on a fair mark at present, and this looks a good opportunity for him to land the big pot he has often promised, behind only My Way on weight-adjusted ratings and with Davy Russell taking over in the saddle.